Vitiligo is a condition close to my heart. I was privileged to focus my Master of science in cell biology thesis on this condition and met many wonderful patients suffering from vitiligo both during this time as well as during my years of practice as a dermatologist. 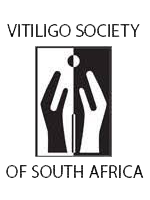 My time spent within the Department of Human Biology studying pigment cell disorders as well as my involvement in the Vitiligo Society of South Africa (VSSA) means that I have an ongoing vested interest in this distressing condition. Vitiligo is an acquired depigmenting disorder of the skin, in which pigment cells (melanocytes) are lost. It presents with well-defined milky-white patches of skin (leukoderma). The extent of this can vary from a few small patches to total loss of colour. Vitiligo can be cosmetically very disabling, particularly in people of colour. 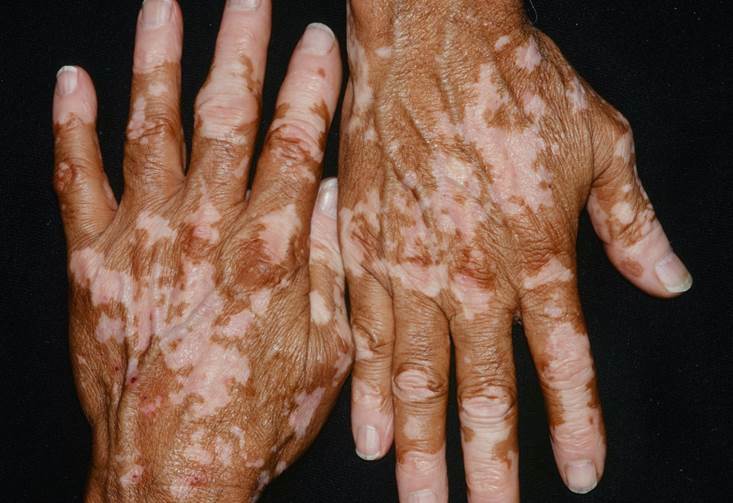 There are many hypotheses about what causes vitiligo. One school of thought is that it is an autoimmune condition. This means that your own immune system (which normally protects your body from infections) causes damage. In the case of vitiligo it destroys the cells in your skin that make melanin. This is important because patients with vitiligo are at a greater risk of developing other autoimmune disorders such as thyroid issues. The dermatologists at Atlantic Dermatology and Laser understand that vitiligo has a significant impact on our patients’ quality of life. We will not dismiss this condition as “cosmetic” but will work with you to develop a treatment protocol. There are many therapeutic options which can be initiated depending on how stable your vitiligo is. From topical immunosuppressant therapy to phototherapy, laser treatments to surgical modalities and systemic medications. We will hold your hand and help to manage realistic expectations as relapse rates are high and frustration levels can rise as new patches develop. It is our commitment to walk this path with you in the struggle to reclaim your pigmentation. It was my vitiligo patients who taught me so much about the meaning of holistic medicine and who have made me understand that research is an integral part of practicing medicine. Your tales of heartbreak and social stigmatism will continue to fuel research into this distressing condition. Membership for patients is currently absolutely free of charge. You are encouraged to register as a member is order to receive updates in the field of vitiligo. This may include new literature, new treatments for the condition, congresses relating to vitiligo around the world and generally what’s happening in the field.